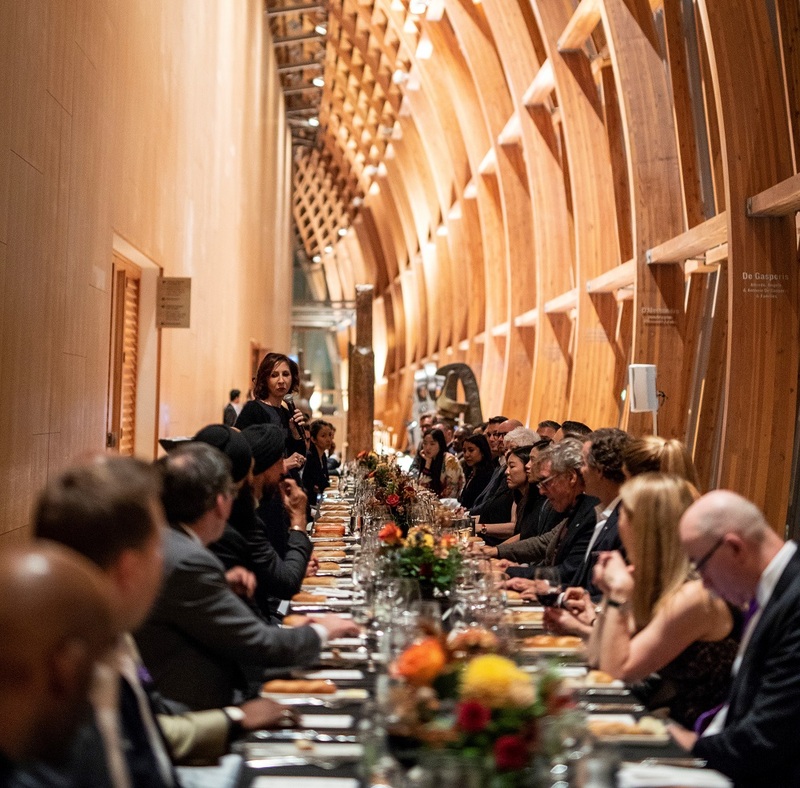 On October 11, Bay Street Bull hosted an intimate private dinner with luxury timepiece brand, Vacheron Constantin, at the stunning Art Gallery of Ontario. Under the soaring arches of the Frank Gehry-designed Galleria Italia atrium, 52 CEOs, company founders, and clients across a diverse spectrum of industries (including finance, technology, cannabis, real estate, and fashion) gathered to celebrate the Canadian launch of Vacheron Constantin’s new men’s collection, Fiftysix. Upon entering, guests were greeted with refreshments and invited to explore the timepiece brand’s range of spectacular offerings, trying on various watches while mingling with new and old friends. Shortly after, attendees were seated for dinner, choosing from a menu that included honey roasted fig salad, seared beef tenderloin, roasted pacific black cod, and hand rolled pappardelle. Editor-in-Chief, Lance Chung, greeted everyone at dinner with opening remarks before introducing Vacheron Constantin President of the Americas, Leslie Kobrin, who discussed the new collection and the brand’s storied history before toasting to a beautiful evening. For the remainder of the night, guests dined, conversed, and made new friends all while celebrating a mutual love for watchmaking excellence. View the Fiftysix collection here.